Our team is committed to providing clients and the community with an environment to learn and increase personal well-being. The majority of programming is facilitated by numerous volunteers. Established in 2009, the St. Albert Community Village (SACV) supports vulnerable clients with a ‘hand-up’ rather than a ‘hand-out.’ This approach seeks to address the underlying issues that bring clients to our door, and encourages our clients to find solutions, regain their independence and achieve a brighter future for their families. The St. Albert Community Village works in combination with the St. Albert Food Bank (SAFB); we are located in the same facility. The SACV works to address the underlying reasons residents access the Food Bank itself. Suzan Krecsy is the Executive Director of the St. Albert Food Bank and Community Village. She has worked with the Food Bank and Community Village since 2007. Suzan is a strong advocate of collaborating with the St. Albert community, its local businesses, and different agencies. 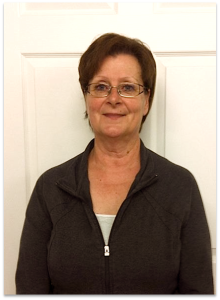 Fay Lucy is the Community Liaison Worker at the St. Albert Food Bank and Community Village. She is a registered social worker and has been with the Community Village since June 2010. Fay coordinates client access to appropriate community-based social agencies and provides assistance to individuals in social crises which could include, but is not limited to, housing and food insecurities, abuse and unemployment. She is also a registered Massage Therapist and a registered Yoga Instructor (Certified with the Yoga Association of Alberta). Fay has worked with children and adults, learning barriers, women in prison, women in shelters and in the Multiple Sclerosis Society. Fay loves the spirit insights that are shared in the community work. 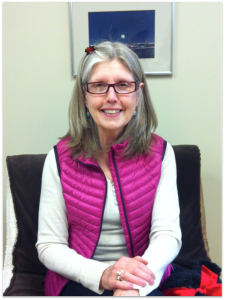 Fay may be contacted Monday to Friday at 780.459.0585 to set up an appointment or answer any questions you may have. During an appointment, Fay will work with you to determine your needs and provide you with resources and referrals.